Bitcoin prices on Tuesday briefly plunged below $6,000 before recovering to 7,243.31 at 11:45 pm against $17,150 one month ago on the Luxembourg-based cryptocurrency exchange BitStamp, declining by 65% (or nearly two-third of value). The bitcoin prices of bitcoins have plunged drastically in the past one month, chiefly because of the regulatory crackdown. On February 1, India's finance minister Arun Jaitley said the currency is not a legal tender and the government is planning a crackdown. Following this, the bitcoin price tumbled in the international market. 1. Digital currency bitcoins fell more than 15 percent on Monday to a nearly three-month low amid a slew of concerns ranging from a global regulatory clampdown to a ban on using credit cards to buy bitcoins by British and U.S. banks. British bank Lloyds Banking Group said on Sunday it was banning customers from using credit cards to buy bitcoins It joined U.S. banking giants JPMorgan Chase & Co and Citigroup, which announced similar bans on concerns the lenders could be held liable when the volatile currencies plunge in value. 2. 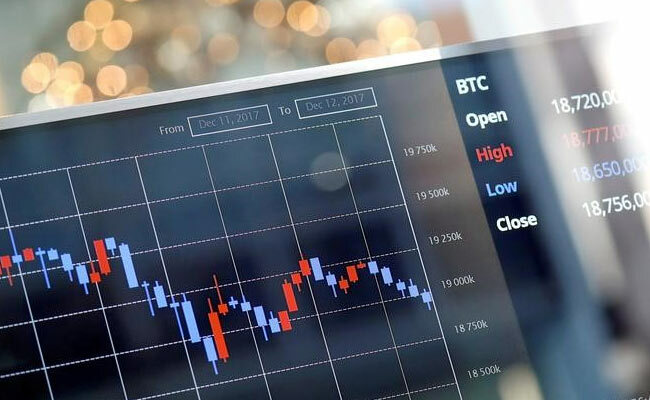 A few days ago, Facebook announced a ban on advertisements for binary options, initial coin offerings and cryptocurrency. 3. Union finance minister Arun Jaitley said in his annual budget speech on Thursday, "The government does not consider cryptocurrencies legal tender or coin and will take all measures to eliminate use of these cryptoassets in financing illegitimate activities or as part of the payment system." 4. On BitStamp, bitcoin price trades at $7,243.31 while two days ago, prices were trading at $8,190 on February 4, two days ago. Exactly a week ago, the bitcoin prices closed at $9,971, 60% higher than today's price. Two weeks ago, the bitcoin prices closed at $10,852, nearly 75% higher than Tuesday's price. 5. In India's bitcoin exchanges also, the prices trade drastically lower. The buy price on Coinsecure is Rs 4,50,000 while the sell price is Rs 4,40,000.